Thanks to the importance of industrialized processes, air compression is a crucial aspect of many businesses today, and so their reliability and efficiency are hugely important in those worlds. This is why we at ReapAir take a great deal of pride in delivering the best services and parts to you for our Quincy air compressors. Our customer base is full of well-satisfied and happy clients and we have been serving for over thirty-five years. So if you’re in the Greater Toronto Area, Toronto, Oakville or Mississauga, we are your best choice for industrial air compression! 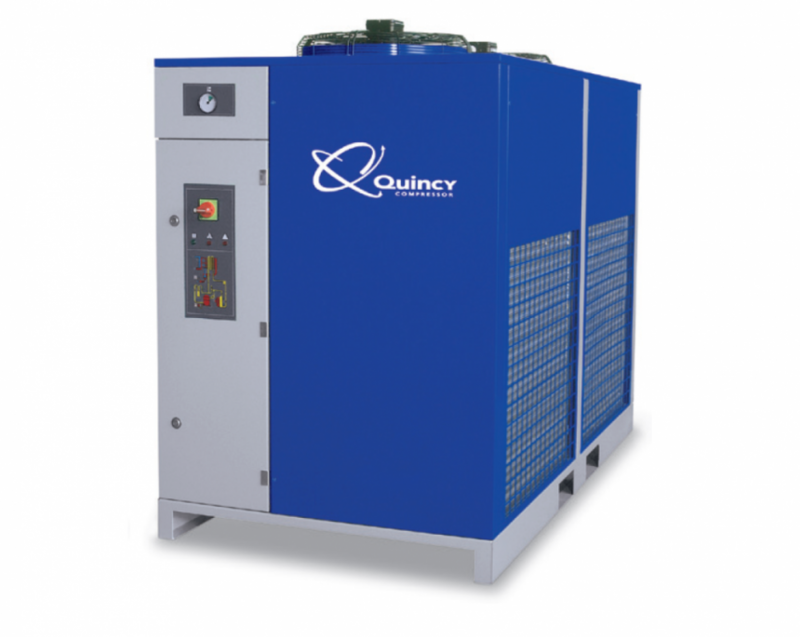 For the harsh and demanding environment that industrial compressors often have to work in, Quincy Air Compressors have consistently been a leading brand. Lubricated Rotary Type - Quincy air compressors offer a wide range of lubricated rotary compressors from as small as a 5hp-100hp series to the larger 125-350hp series. Reciprocating Piston Type - Reciprocating piston compression is often used in applications such as in manufactories or as power sources where 1hp to 25hp is needed. Oil-Free Scroll Type - These are ideal for laboratory, biotech, lab research, and food/beverage use. When zero oil contaminants are a must, our air compressors are more than well-rounded enough to succeed in these industrial settings. When you use our Quincy-brand compressors, you know you are getting your power from a trustworthy source, known for high-quality, efficiency, and, most importantly, reliability. Furthermore, ReapAir acts as a supplier for Quincy compressor parts, repair, and service as an additional guarantee of reliability. We understand that if you need an air compressor, you need it because it is an integral part of your production line, so we only supply the best. Whatever your particular needs in this field may be, we are ready to bring you top-quality products and service – contact us today to learn more!